Standing in the Arbuckle Mountains in 1917, it would have been hard to envision that the rocky trails and dense trees would ever produce much more than a significant challenge for hikers. But, the call of faith asks man to look beyond the realm of what he thinks can be done, to the realm of what God ordains must be done. J.B. Rounds and W.D. Moorer saw the vision God had for this untamed forest in the heart of Oklahoma. Rounds and Moorer first viewed the Falls Creek property in a photograph at a barber shop in Davis, OK. 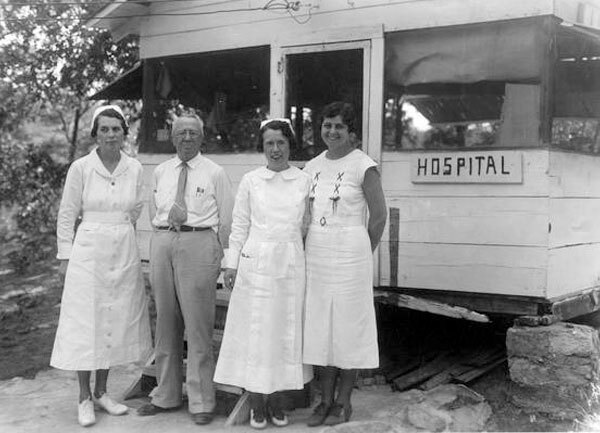 They immediately agreed that the 160-acre parcel was the perfect place for the annual summer meetings of the, then, Baptist Young People’s Union. Along with the support of the state convention, these two men secured the property with their own money. Later that year, during the first assembly, 273 young people met under a tent in the wilderness and two made professions of faith. From that humble beginning, Falls Creek has grown to become the largest religious encampment in the world. 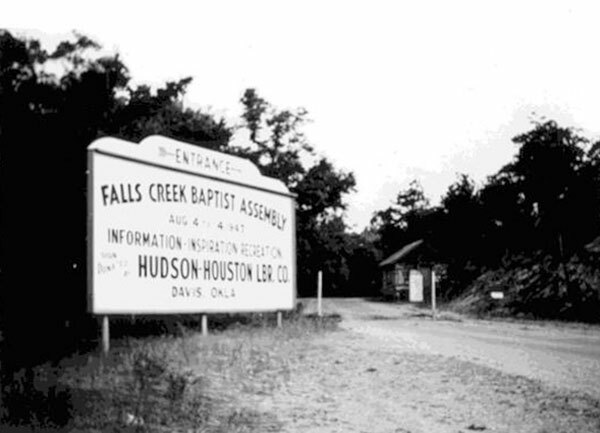 Falls Creek has grown and expanded ever since its founding in 1917. 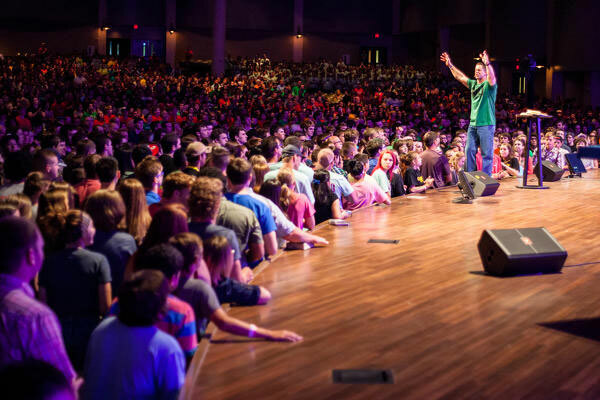 With more than 50,000 young people attending the youth camp weeks every summer, tens of thousands have come to know Christ as their personal Savior. Thousands more have answered God’s call to full-time ministry on these sacred grounds. 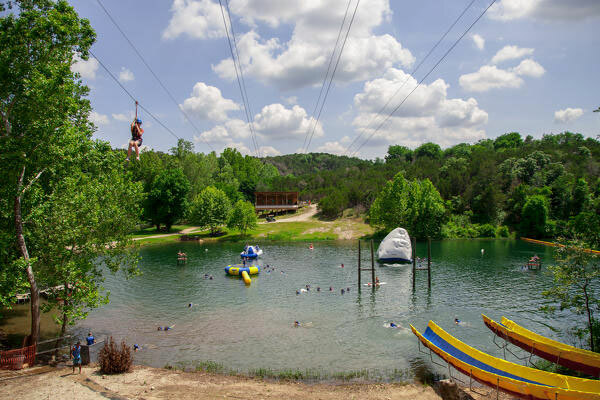 However, Falls Creek is more than a summer camp for youth. It is a year-round conference center that serves any age range and hosts a wide variety of events annually. 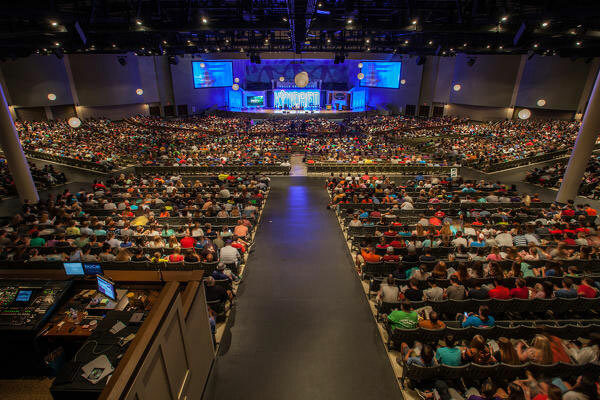 Falls Creek works alongside the ministries of the Baptist General Convention of Oklahoma, serves Oklahoma Baptists and beyond. For almost 100 years, over two million people have attended Falls Creek and it’s all in gratitude to the provision of God.